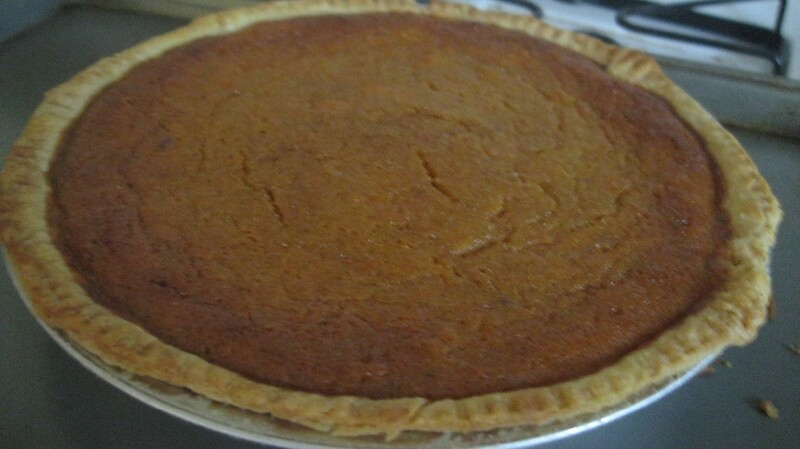 I had never tried sweet potato pie before this recipe. My husband's relatives, who are from the South, rave about it. So, it's a keeper! 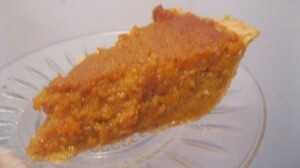 This has the same spice flavors as pumpkin pie, but it's very different. It's good on it's own or with some ice cream on top. If you've never tried sweet potato pie, you should try this. Source: Gale Gand's show from many years ago. Wash sweet potatoes. 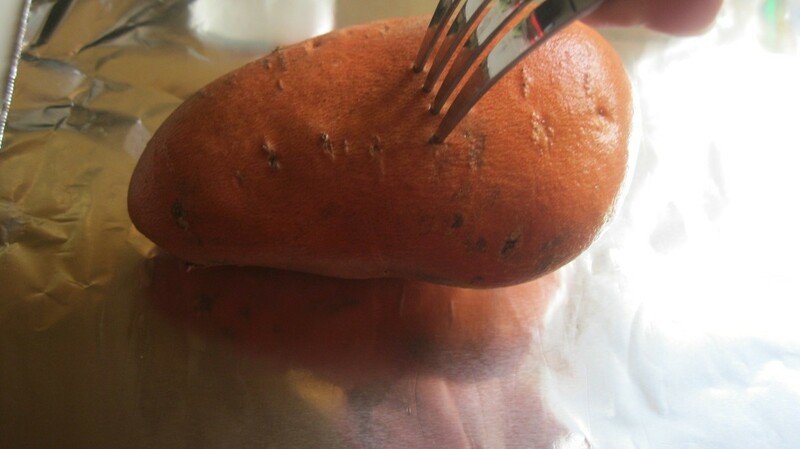 Pierce sweet potatoes with a fork. Wrap individually in foil. Bake at 425 degrees F for about 1 hour. I squeeze them, using a pot holder. If they are very soft, they are ready! 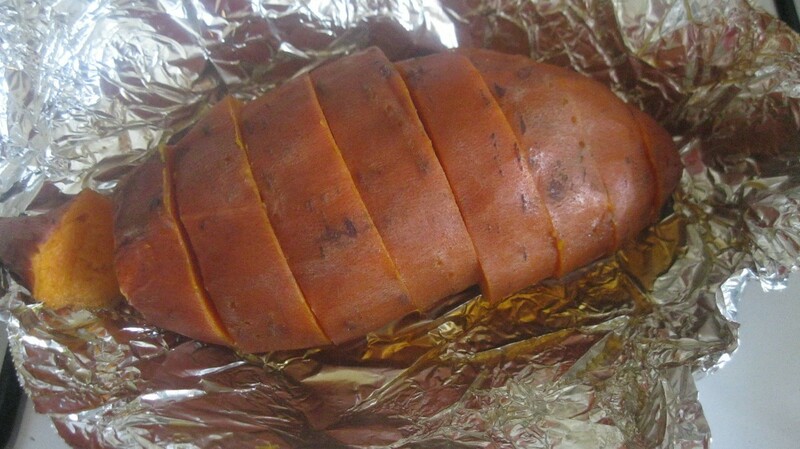 Unwrap potatoes, being careful to not burn yourself. Cut potatoes crosswise, every inch or so. You don't want the pie to be too stringy. Peel the skins from the potatoes and put in a bowl. Reduce oven heat to 375 degrees F.
Mash potatoes with a potato masher. Add remaining ingredients (Minus the crust!). 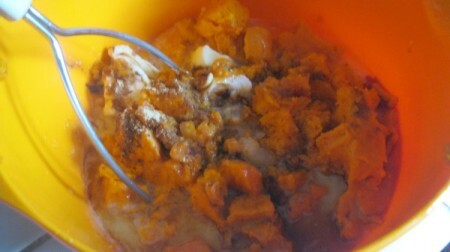 Mash or stir til mixed. Pour into a 9 inch pie shell. If your potatoes are on the large side, you may have extra filling. You could bake the rest in an oven-safe glass bowl. 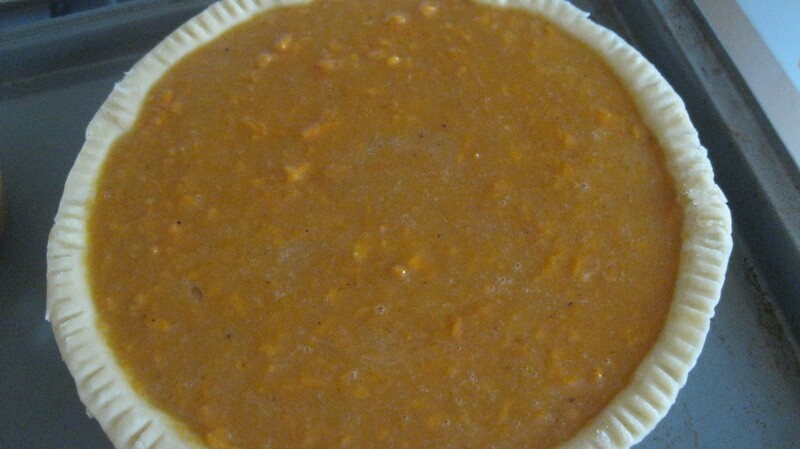 Place pie on a cooking sheet, just in case it spills over while baking. Bake til pie is set, about 50 minutes. Once cool, serve by itself or with some ice cream on top.